Everybody knows the Philippines is the best place to get your cholesterol up high in the skies, right? With lechon, adobo, crispy pata and bulalo in the same dinner table as the veggies and the carbs, can you really decline the insistent invitation of your hosts to eat lots of meat with lots of fat? Not a chance in life. Too lazy to read? Click here for the audio version (podcast). The U.S. Food and Drug Administration today approved Repatha (evolocumab) injection for some patients who are unable to get their low-density lipoprotein (LDL) cholesterol under control with current treatment options. Repatha, the second drug approved in a new class of drugs known as PCSK9 inhibitors, is approved for use in addition to diet and maximally-tolerated statin therapy in adult patients with heterozygous familial hypercholesterolemia (HeFH), homozygous familial hypercholesterolemia (HoFH), or clinical atherosclerotic cardiovascular disease, such as heart attacks or strokes, who require additional lowering of LDL cholesterol. Familial hypercholesterolemia (encompassing both HeFH and HoFH) is an inherited condition that causes high levels of LDL cholesterol. A high level of LDL cholesterol in the blood is linked to cardiovascular or heart disease. Heart disease is the number one cause of death for Americans, both men and women. According to the Centers for Disease Control and Prevention, about 610,000 people die of heart disease in the United States every year– that equals one in every four deaths. Repatha is an antibody that targets a specific protein, called PCSK9. PCSK9 reduces the number of receptors on the liver that remove LDL cholesterol from the blood. By blocking PCSK9’s ability to work, more receptors are available to get rid of LDL cholesterol from the blood and, as a result, lower LDL cholesterol levels. The efficacy and safety of Repatha were evaluated in one 52-week placebo-controlled trial and eight 12-week placebo-controlled trials in participants with primary hyperlipidemia, including two that specifically enrolled participants with HeFH and one that enrolled participants with HoFH. In one of the 12-week studies, 329 participants with HeFH, who required additional lowering of LDL cholesterol despite statins with or without other lipid-lowering therapies, were randomized to receive Repatha or placebo for 12 weeks. Participants taking Repatha had an average reduction in LDL cholesterol of approximately 60 percent, compared to placebo. The most common side effects of Repatha include nasopharyngitis, upper respiratory tract infection, flu, back pain, and reactions such as redness, pain, or bruising where the injection is given. Allergic reactions, such as rash and hives, have been reported with the use of Repatha. Patients should stop using Repatha and get medical help if they experience symptoms of a serious allergic reaction. Multiple clinical trials have demonstrated that statins lower the risk of having a heart attack or stroke. A trial evaluating the effect of adding Repatha to statins for reducing cardiovascular risk is ongoing. Repatha is marketed by Amgen Inc., of Thousand Oaks, Calif.
For media inquiries, please contact Eric Pahon of the FDA, (240) 402-4177. For consumer inquiries, please call toll free number 1-888-INFO-FDA. AirAsia in cooperation with ThinkDharma Inc., the exclusive distributor of Nikon cameras, got together to launch the first AirAsia Travel Photographer for 2015. Four newbie photographers and office workers will be coached and assisted by multi-awarded photographers from the Philippines and Malaysia as they all travel across Asia for one week starting July 21, 2015. George Tapan – a self-taught photographer, Tapan served as director of photography of Philippine Airlines Mabuhay Magazine for eight years, won the ASEAN Tourism Association Award in 1999, won the gold prize for Pacific Asia Tourism Association twice, and first place in the Places Category for the National Geographic Photo Contest in 2011. Christian Raymond Cruz – a graphic designer and one of the pioneers of landscape photography in the Philippines, also a self-taught photographer who spent the last seven years traveling the country and the world to capture the best nature scenery, and spends time sharing his knowledge and experience under the Redefining Vision Landscape Photography Workshops. Philip Anthonie (Parc) Cruz – started as a hobbyist photographer in 2005, Cruz spent a lot of time tagging along with other photographers until he found his niche – portraits and cinematic shots. He is a privileged part of Nikon’s pool of endorsers and has since traveled around the Philippines and the world while imparting and encouraging other photo hobbyists to develop their creativity through visual images. Adam Lee – an award-winning portrait and travel photographer who was trained in Los Angeles, he spent the last seven years assisting organizations to use photography as a means to tell stories and build communities. Lee is AirAsia’s resident photographer who contributes a large portion of his work to the airline’s in-flight magazine, marketing and communications, social media and brand management. Lee has won three silver awards and two honorable mentions in the Prix de la Photographie Paris 2014 competition and awarded the 27th ASEANTA Award of Excellence for Best Asean Tourism Photo in 2013. Marie Velvet Lagman-Macasaet – Marie is 36-year old an Executive Assistant to the SVP and Country Manager of VXI Global Solutions and mom to a 5-year old boy named Paco. She recently finished a half-marathon and bathing in an onsen (Japanese hot spring) while backpacking in Tokyo. She enjoys hiking, trekking and scuba diving. She is partnered with Coach Adam Lee. Sarah T. Garcia – Sarah is a Front Office Agent at the Lancaster Hotel n Madaluyong City and loves to eat, love everything extraordinary and loves art. She is partnered with Coach George Tapan. Paul Vincent Delfin – Paul is a Barista of Starbucks at the Greenbelt 3 branch. He’s into Indie music, loves football and loves long trips. He is an eager photography enthusiast as a form of art. He is partnered with Coach Parc Cruz. Antonio Nepomuceno III – a marketing professional of Toyota in Taytay, Rizal, he is definitely a car enthusiast who is outgoing and loves the company of people, a necessity for his type of job. He is partnered with Coach Raymond Cruz. Each team will be traveling around some exotic places in Hong Kong, Indonesia, Malaysia and Thailand to help everyone capture their best entries in categories that include landscape, food, portrait, architecture and travel. Winners will be awarded with over 200,000 BIG Points, AirAsia’s global loyalty program, or its equivalent free flights to any of AirAsia’s 100 destinations. Online voting through www.airasiatravelphotographer.com will be opened to the public starting August 20, 2015 with Nikon cameras and BIG Points to be given away to lucky voters. The grand winner will be announced on September 11, 2015. During the launch, AirAsia and Nikon drew lots to pick four lucky bloggers who will accompany each team in their respective trips to Asian destinations. My colleague in the Philippine Bloggers Network or PBNet Edel Santiago of The Kitchen Goddess blog won a spot among the four chosen bloggers. Reader’s Digest, the book Baby Boomers and Generation X-ers grew up with, has again cited SM Supermalls as the most valued and preferred shopping mall brands in the Philippines for the fourth year in a row. SM Supermalls was awarded the Platinum Trusted Brand in the Shopping Center category last June 30, 2015 under the annual Trusted Brands Survey conducted by Reader’s Digest. SM Supermalls is the largest shopping center operator in the Philippines, providing shopping, dining and entertainment options to millions of shoppers daily in over 50 malls in the Philippines and six in China. Delivering the ultimate in family fun mall experience is the brand promise of SM Supermalls and it partners with the best local and global retailers. SM Supermalls, owned by SM Prime Holdings, Inc. and was started by Henry Sy, Sr. in 1958 as Shoemart, with a store in Manila. In the 1960s Shoemart expanded its shoe store chain. It is one of the pioneers in the new urban centers in Makati and Cubao. By the 1970s, Shoemart was a full-line department store, shifting its name from Shoemart to SM. In the 1980s, the company diversified and ventured into the supermarket and home appliance store business. It opened the first “Supermall” store in 1985 in Quezon City called SM City North EDSA. Read more about it at EPR Retail News. 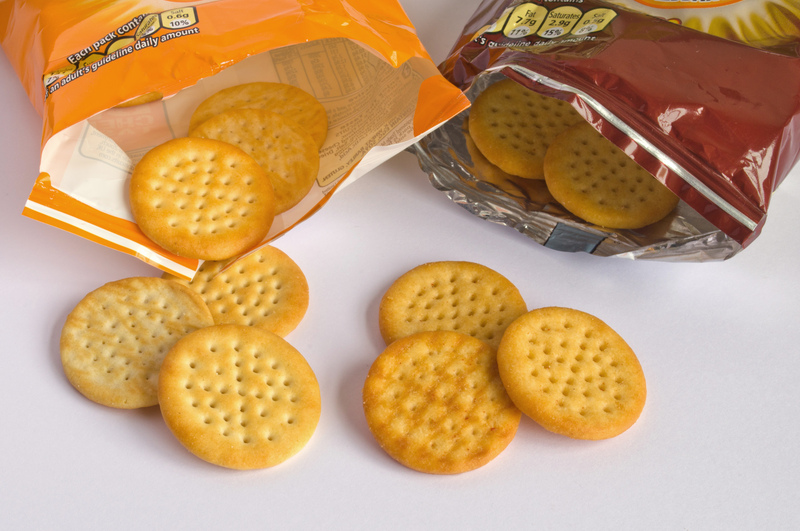 San Miguel Corporation is eyeing to buy the world’s sixth biggest cookie maker, United Biscuits Ltd. With its 160-year-old McVitie’s brand including Jaffa Cakes and Digestives, Ramon Ang said Wednesday he is interested in bidding for the British snack and cookie maker. Others in the potential buyers list include Kellogg Co.
United Biscuits has a combined sales of €1.10 billion (or $1.42 billion) in 2013. Read more about it at The Wall Street Jounal. 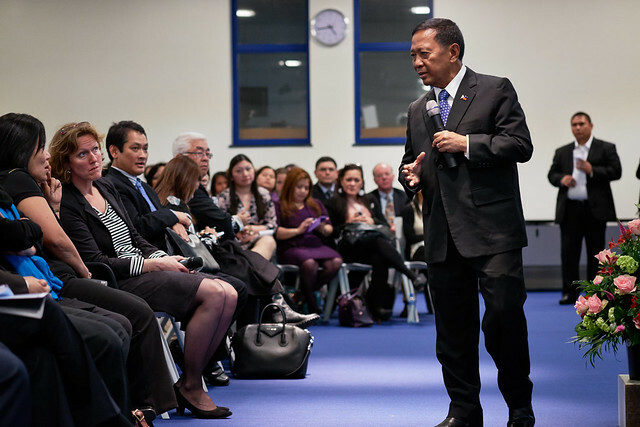 Vice President Jejomar C. Binay on Sunday asked Filipinos to hold their heads high in the face of discrimination as he thanked Google for taking down an anonymous blog urging Singaporeans to harass Filipinos living in the island nation. In a post titled “Filipino infestation in Singapore — 5 point guide to showing displeasure without breaking the law,” the blog advised Singaporeans to refuse to be served by Filipinos in restaurants, “accidentally” shove them in crowded places, and not to help Filipinos involved in traffic accidents. The blog, “Blood Stained Singapore,” was hosted on Google-owned Blogger. It was no longer available by late Thursday. A Google spokesperson confirmed that the US web giant removes material from Blogger that violates its policy on hate speech. The Philippine embassy earlier urged Singaporean authorities to take action against the blogger. “It is obvious that the blogger, in choosing to hide behind the veil of anonymity, knew he would be held liable for what he wrote under Singaporean law against hate speech. And even as we condemn the hate speech, we Filipinos reiterate our well wishes for the people of Singapore,” he added. There are currently some 170,000 Filipinos living in Singapore, most of them professionals. Source: Office of the Vice President of the Philippines. Photo by iss_thehague at Flickr.com. Unyon ng mga Manunulat sa Pilipinas (UMPIL) recently awarded Gawad Pambansang Alagad ni Balagtas to outstanding Filipino writers who have contributed significantly to the development of Philippine literature in any language. The ceremony was held on Aug. 30 at the University of the Philippines College of Mass Communication Auditorium (UP CMC). The awards was the culminating event of the 2014 UMPIL Pambansang Kumperensiya, which was conducted from Aug. 28 to 30 at the same venue. Read more at Manila Standard Today.